Itâ€™s been more than a month since Rhodes Must Fall burst into action at the University of Cape Town (UCT). With the statue gone, the movement is now planning the way forward with the monumental task of decolonising the university. RAâ€™EESA PATHER rounds up everything you need to know about what the movement stands for and how it plans to continue its mission. Although members of the movement still call themselves Rhodes Must Fall, the name refers to the fall of systematic oppression born from colonialism, rather than simply to the fall of the statue. For the movement, transformation is as a catchphrase thatâ€™s been around 20 years and yielded little meaningful change. Instead, the movement is calling for universities to be â€œdecolonisedâ€. This means creating a campus environment that is welcoming to black students. 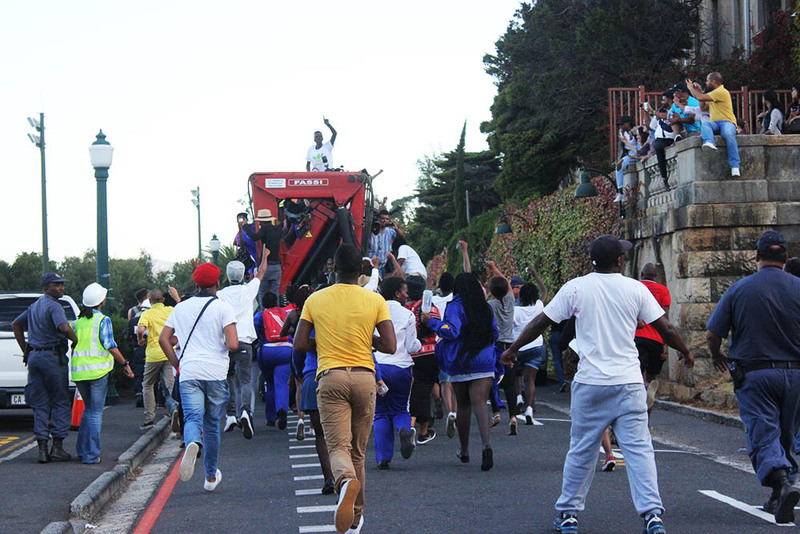 The response from some UCT students to the Rhodes Must Fall movement has revealed the day-to-day racism that slips under the campus radar â€“ white students calling black students in the movement â€œmonkeysâ€ and â€œk****rsâ€ or â€œsavagesâ€ who â€œdestroy everything they touchâ€ on social media; black staff and students frequently reduced to tears by the racism they encounter from their peers. â€œWhen we say â€˜Rhodes Must Fallâ€™ we mean that patriarchy must fall, that white supremacy must fall, that all systematic oppression based on any power relations of difference must be destroyed at all costs,â€ Kealeboga Ramaru, a student in the movement, said just before the statue fell. 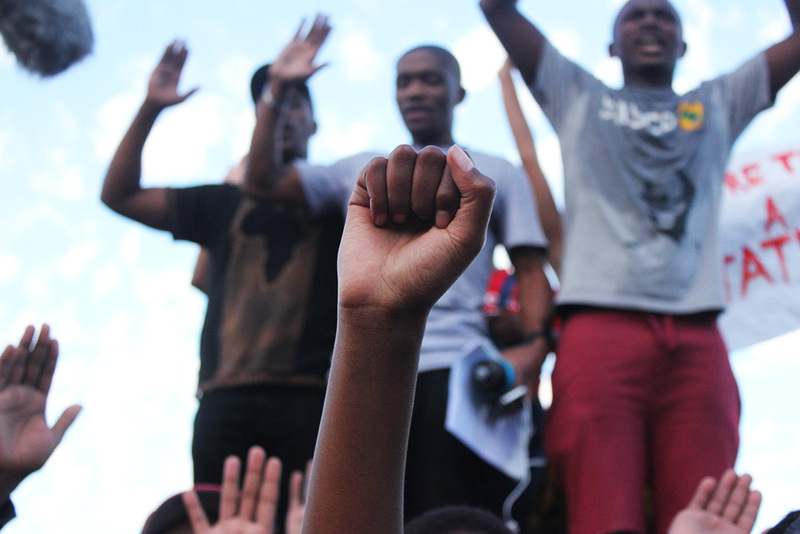 The movement plans to address decolonisation through a three-pronged approach: the university must hire more black academics, it must stop outsourcing workers, and it must develop an Afrocentric curriculum. 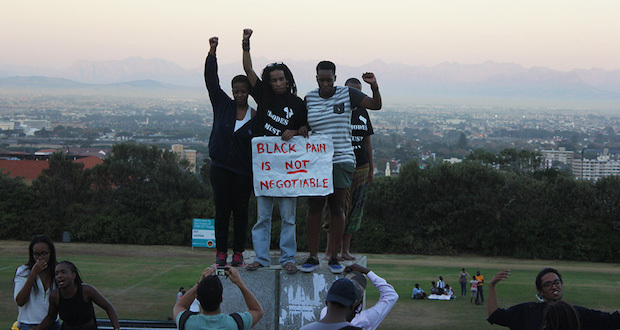 The students of RMF are not here for a programme to relocate statues â€“ theyâ€™re in it for the long haul. Their aim is to fight against racism at the institution and create a space where they no longer feel marginalised. â€œThis is not about the statue, itâ€™s about us. Itâ€™s us finding a voice and finding a community within UCT that represents us in the manner that we want,â€ Masixole Mlandu, a student in the movement, told The Daily Vox. 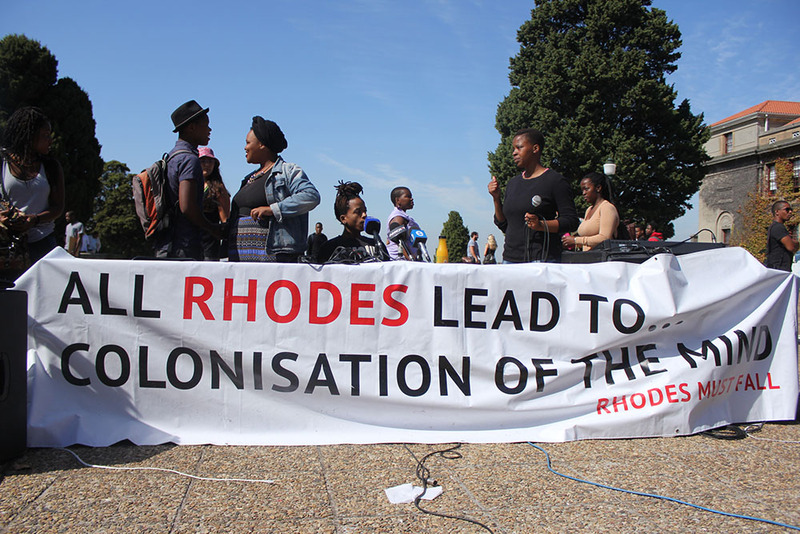 Rhodes Must Fall has sparked discussion about transformation at Rhodes University, UKZN and Wits University and plans to engage with its counterparts on other campuses to find ways to move forward with the process of decolonising academic institutions. Rhodes Must Fall is a movement for students, led by students. While black academics on campus, particularly from Transform UCT, a body of black academics committed to transformation at the university, have voiced their support for the students, the elders are understood to be there to provide advice support, not to help lead the movement. The movement is also not tied to any political party; instead it draws on black consciousness, Pan-Africanism, queer politics, and black feminism for its politics. The movementâ€™s student body is diverse, and it attempts to reconcile its diversity through the development of intersectional politics that are inclusive of all its members. It is also adamant that the decolonisation of the university will be led by black students. 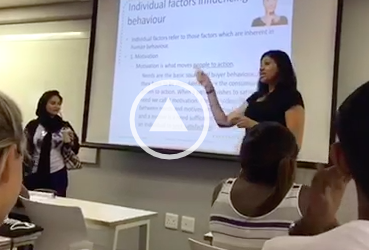 This stance is based on the writing of Steve Biko, who argued that black students must lead their own struggles. Nevertheless, the movement has positioned itself a place for people of all colour, including white students. Just before the statue fell, Rhodes Must Fall said that its enemy was the universityâ€™s management. 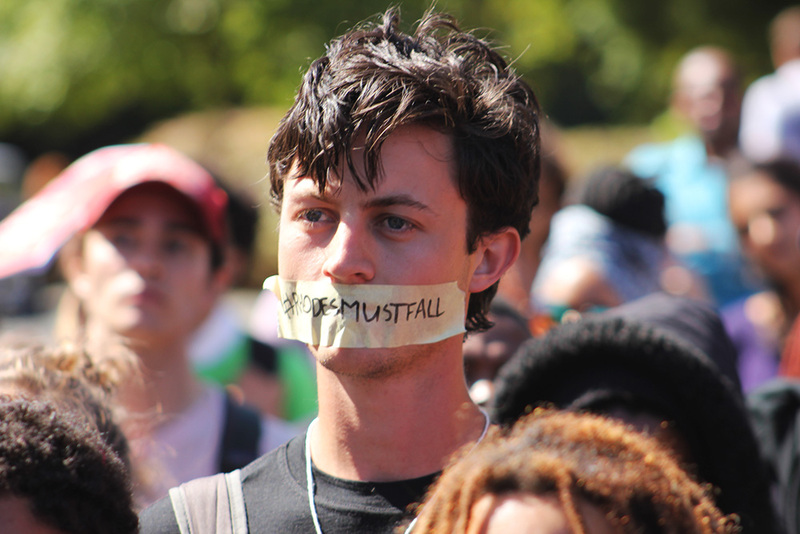 The students believe management has ignored cries for transformation and the pain endured by black staff and students as a result of racism at the institution. Managementâ€™s move to evict the movement from Bremner Building after the statue fell and to take disciplinary action against students perceived to have exceeded the â€œlegitimate boundaries of protest actionâ€ meanwhile has created further tension between management from the movement. 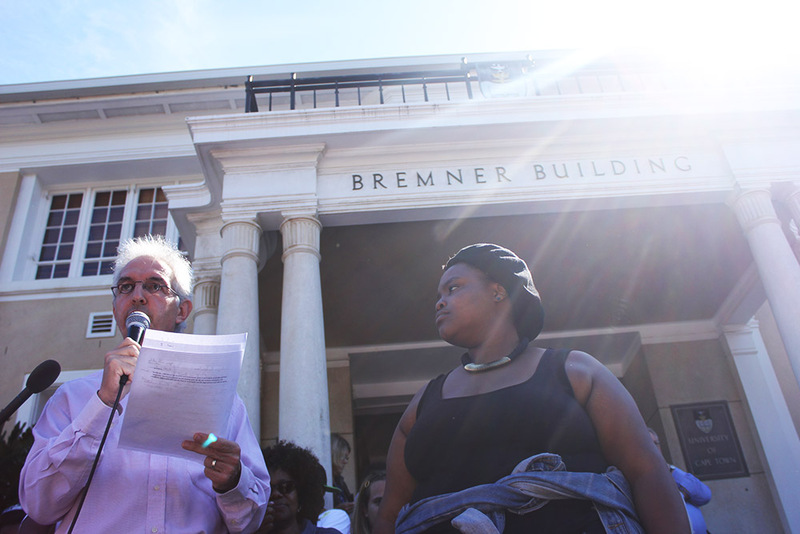 UCT vice chancellor Max Price has rejected this position, saying that viewing management as the enemy is divisive rather than constructive. From its very inception the movement has pushed peopleâ€™s buttons, starting with its defence of Chumani Maxwele}s poo protest, to excluding white students from certain fora and chanting â€œOne settler, one bullet!â€ at its protest events. But the movementâ€™s more transgressive actions appear to be largely performative and designed to get people}s attention. Although Rhodes Must Fall is apolitical, many students in the movement belong to student groups at the university. Pan-Africanism is one of its influences and the â€œOne settler, one bulletâ€ chant, historically linked to the apartheid-era PAC call inciting violence against white people, comes from members of the Pan Africanist Student Movement of Azania, the student chapter of the PAC at UCT. The chant has been a cause for concern leading Price to say he is considering filing a complaint with the South African Human Rights Commission. But members of the movement have defended the use of the slogan, saying that black people identify with it as a rallying call to protest and tackle colonialism at the university through protest action, rather than incite violence. this is really sad considering how we look up to South Africa as a country in terms of forgiveness and reconciliation.